Professional Movers.com, the award winning Moving Company known for doing things so positively different that they forever alter a customer’s expectations for the better, have announced it is opening its third location in Michigan. The newest office will be located in Rochester, MI, inside OU INC, a SmartZone Business Accelerator on the Campus of Oakland University. The new office will be a fully functioning service location, staffed with a full-time Branch Manager and Moving Consultant as well as Team Leaders, Movers, and Moving Trucks. Local operations, sales, and market development will be handled by Branch Manager and Director of Business Development, Don Crowley. Don, who originally conceptualized and commissioned the federally trademarked Professional Movers logo that was famously featured on Entreprenuer.com as a “Top 3 Close to home Logo” for Brand Inspiration will be responsible for bringing the much adored Professional Movers.com brand to Rochester, MI and surrounding communities. In the coming months, Professional Movers.com expects its roster of employees and a fleet of trucks in the new office to grow considerably so that it can handle the increased demand in residential and office moving services. Professional Movers.com have already purchased two brand new Ford F-650 & Ford F750 Moving Trucks with specially designed Kentucky Trailer Moving Bodys to support the moving needs as they grow into their new location. In addition, a major push in employee recruitment has begun for Professional Movers.com as they plan to add 8 jobs to the Rochester community in its first year and an additional 16 jobs in year two. If you are interested in joining the Professional Movers.com team apply here! Professional Movers.com specializes in providing local and long distance relocation services for residential and business customers. Each customer is assigned both a dedicated Moving Consultant to plan the move, guide customers through the process, and be responsive to their needs. Prior to any move, their Moving Consultants will schedule a time to visit a customer’s home or office to review everything to be moved. The appointment time is based on the availability of the customer, not theirs. All pricing is completely transparent, easy to understand, and provided in writing. Most importantly, the promises that they make are the promises that they keep. All of their movers are background-checked, arrive to every job wearing uniforms, and drive clean trucks. Every mover is a company employee. They are intelligent, courteous, and highly skilled at moving. Professional Movers.com even assigns a Team Leader to every move to ensure complete accountability. From furniture to doorways and floors, protective materials are used to mitigate any opportunity for damages to occur while moving. Beyond the standard residential and office moving services, Professional Movers.com has an extensive a-la-carte menu of services that go far beyond just moving boxes and furniture. They offer IT disconnection and re-connection services for corporate customers, installation of cubicle workstations, storage services, and moving of bulky items such as hot-tubs or pianos. They even have an entirely separate freight division that can provide specialty flat-bed and lift-gate delivery services. Their network of industry partners allow Professional Movers.com to offer third party crating services of artwork, staging, and de-cluttering services. The new Rochester, MI office will offer a full assortment of packing services and packing supplies. They will be the exclusive provider of Rental Crates, the plastic moving boxes that are way easier and less expensive to pack and move than cardboard boxes. Customer’s being serviced by the new office will no longer need to go to big box stores to try and determine how many moving boxes to purchase. Instead, the reusable boxes can be rented and ordered online directly through Professional Movers.com sister brand, Rental Crates.com and delivered to the customer’s doorstep in 24 hours. The company has taken all the hassle out of figuring out how many boxes a customer may need to pack and move by offering bundled packages based on the size of the customer’s home or office. In addition, the plastic moving boxes arrive fully assembled and require zero use of tape, helping reduce packing time by over 50%. Professional Movers.com has always been known as a progressively different and a positive disruptor of the Moving Industry. 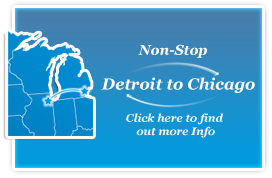 In 2011, they pioneered the Detroit Moving Incentives Program, a company wide initiative to help encourage more people and businesses to consider moving Detroit. The program has been a supportive driver in Detroit’s latest renaissance with Professional Movers.com moving more companies and people to Detroit the last 8 years than they had in their previous 32 years combined. The success of the program allowed Professional Movers.com to open a Detroit office, hire more Team Members, purchase new trucks, and invest in the development of new technology. In 2016, Professional Movers.com developed the online tech widget, Moving Calculator.com to provide customers with a quick and easy way to receive estimated moving cost to move anywhere in the United States in under 30 seconds. This new widget is quickly rising up in search rankings while providing Professional Movers.com insight into where people across the country are looking to move. To date, thousands of leads have come through the Moving Calculator widget. In 2017, Professional Movers.com became the first Moving Company in Michigan to bring about the availability of renting Plastic Moving Boxes for residential moving services. In searching for a new office in Rochester, Professional Movers.com wanted to work in an entrepreneurial ecosystem where they could be surrounded by others who share the start-up mind-set and embrace the use of technology to innovate their industries. Professional Movers.com is not just a moving company, they have greater aspirations and did not want to just be buried in some industrial park with little access or exposure to entrepreneurial resources. Professional Movers.com has always had a natural affinity for Oakland University. 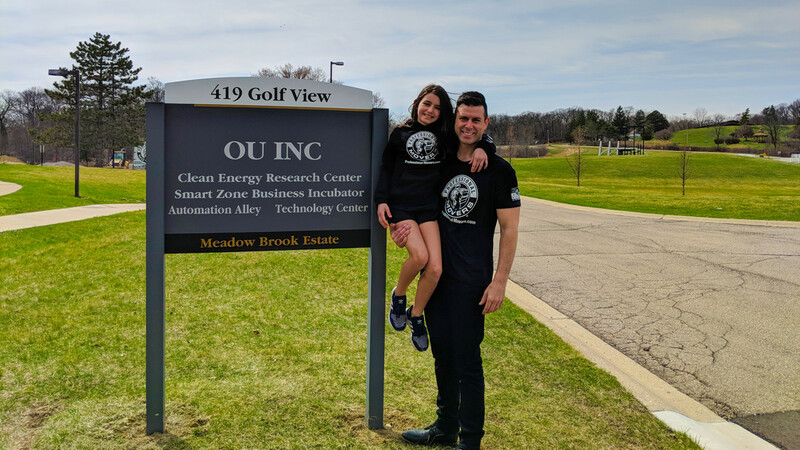 Their Co-Owner, Andrew Androff is a proud alumnus of Oakland University, where he lived on campus while attending school. Over 17 years later and he still makes it back on campus as much as possible to support the University. 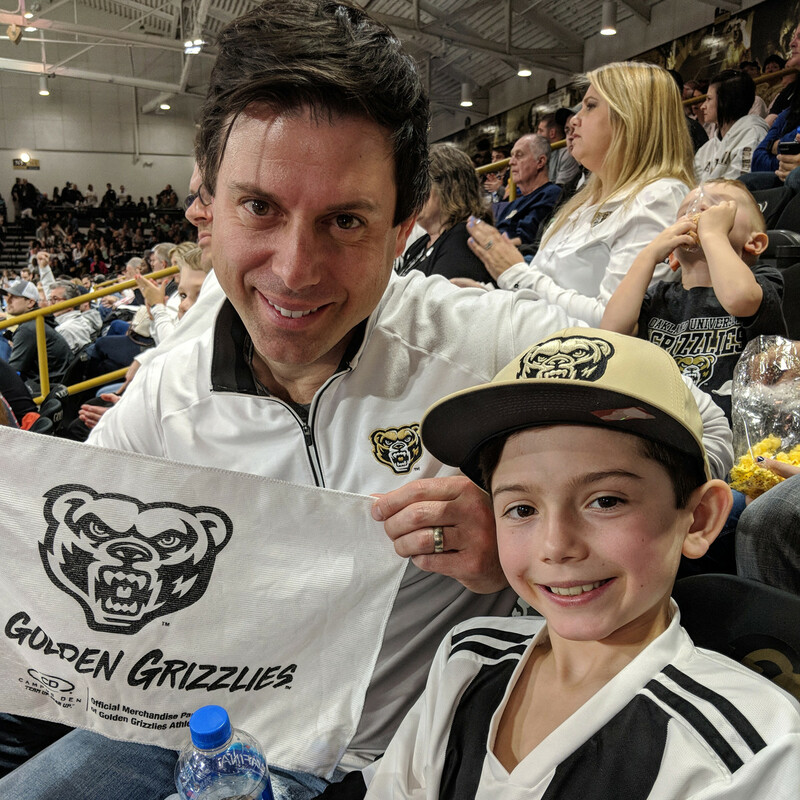 He can often be found attending the Golden Grizzlies Basketball games. “I am particularly proud and excited to be bringing our company to a community that is so close to the roots of some of my fondest memories.” said Andrew. 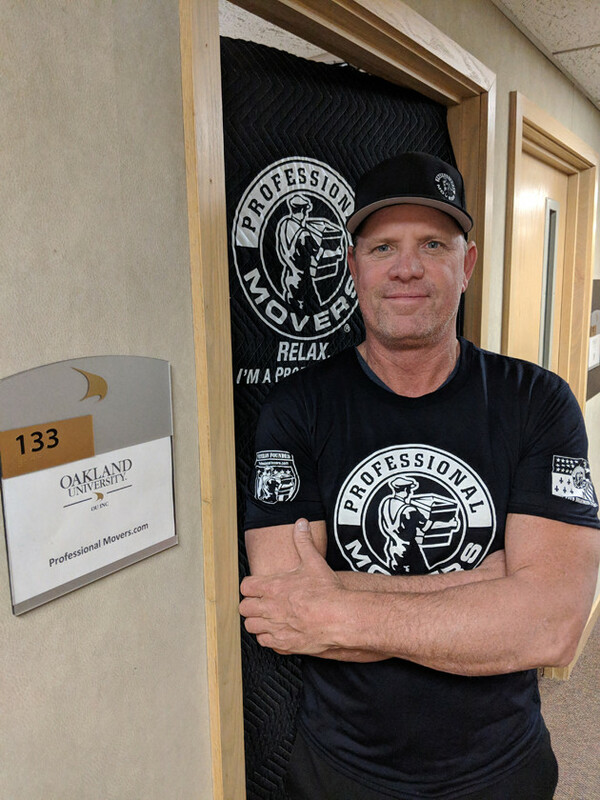 As Professional Movers.com continues to grow into the new Rochester office, they are hopeful to identify students from Oakland University who may be looking for work as Movers and Team Leader. Professional Movers.com is offering flexible work schedules, higher than industry pay, a convenient proximity to classes, and a stepping stone to their life goals. 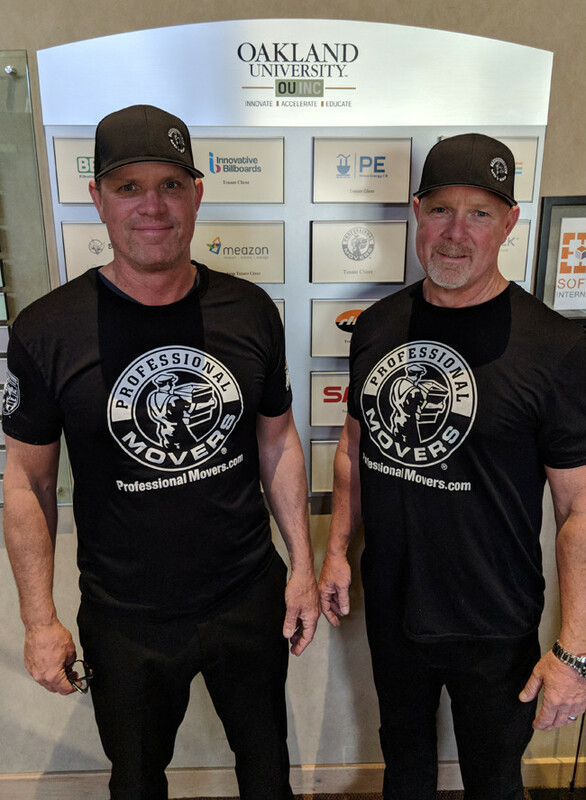 Professional Movers.com has created an environment that is about developing his Team Members to uncover their strengths and offering them a path for growth and development. Whether they excel at loading a truck, taking furniture apart, packing china, or they have an incredible knack for communicating with the customer, EVERYONE at Professional Movers.com plays an important role and their individual skills will have a place to shine. In ways both big and small, Professional Movers.com supports the communities they serve. Since 2017 they supported the Royal Oak Public Piano Project by sourcing unwanted pianos from customers and various people willing to donate their piano to the project. Professional Movers.com donates their services free-of-charge to pick-up the pianos and brings them back to their warehouse where they host an event for the community to come and paint all the pianos with artistic themes. Once painted, Professional Movers delivers the painted pianos throughout downtown Royal Oak so the community can play, enjoy, and become small gathering spots. The project was spearheaded by Jason Gittinger, chairman of the Royal Oak Commission for the Arts and Owner of The Detroit School of Rock and Pop Music who along with Live the Music Foundation had the vision to bring dazzlingly painted public pianos or “street pianos” to downtown Royal Oak for the public to enjoy. In 2016 when the City of Flint experienced their water crisis, Professional Movers.com converted their Walled Lake warehouse to a community donation center to help accept bottled water donations. Their goal was to raise enough water to fill a 26-foot truck, but through the generous efforts of the community, Professional Movers was able to accept and deliver 22 pallets of water totaling 49,126 lbs. to the Flint Community. Professional Movers.com community efforts also include partnering with local Schools to collect donated food for local food pantries. In 2018, their company helped set a new donation and collection record of over 20,000 canned goods and various items. Professional Movers.com donated their moving services to pick-up and the donated items, assist with boxing the items, and delivering to Open Door Outreach Center. The items directly had a positive impact for local families in need of assistance with food. 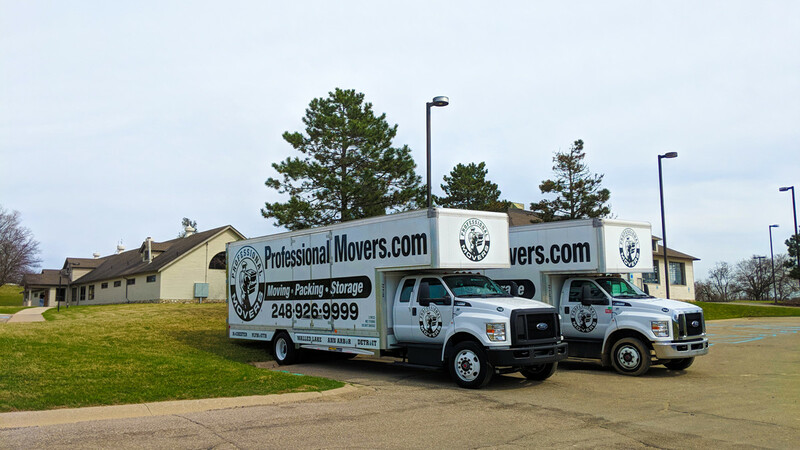 Professional Movers.com Rochester Office is located inside OU, Inc. at 419 Golf View Lane, Suite 133, Rochester, MI 48309. For job opportunities or to request a move estimate, visit www.ProfessionalMovers.com or call 586-371-7777.